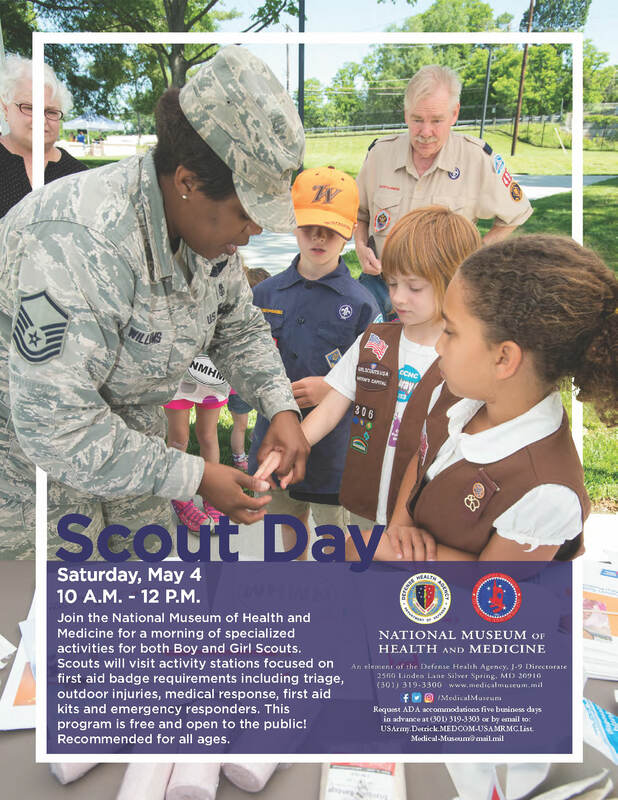 When: Saturday, May 4, 2019, 10 a.m.-12 p.m.
Join NMHM for a morning of specialized activities for both Boy and Girl Scouts. Scouts will visit activity stations focused on first aid badge requirements, including triage, outdoor injuries, medical response, first aid kits, and emergency responders. Check out these tips for a successful Scout Day visit to NMHM.